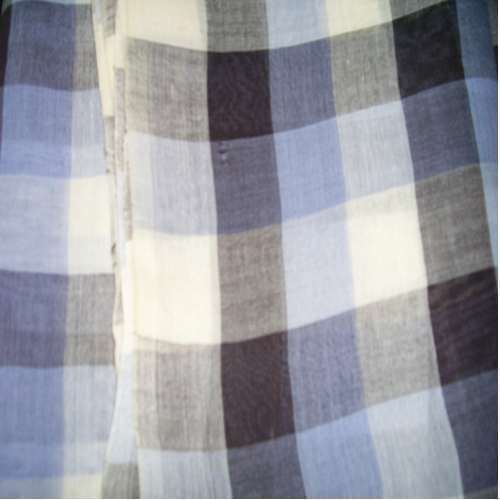 We are engaged in manufacturing and supplying Organic Dyed Woven Fabric to our clients. For the fabrication of these fabrics, we use 100% organic dyed material. In addition, the offered fabric is free of all pesticides and is completely natural. These fabrics are weaved by us as per the defined industry standards. Further, we provide these fabrics to our clients in various strength, colors and patterns that suit their specifications. Moreover, we provide these fabrics at market leading prices. We are counted in the domain as one of the most reliable manufacturers, exporters and suppliers of premium quality Textile Products. Our wide assortment of products includes Organic Yarn Woven Fabric, Organic Dyed Woven Fabric, Organic Dyed Knitted Fabric, Organic Gray Woven Fabric, Made – Ups, Shopping Bags and Bed Linen. These products are manufactured using high grade material and are in total conformity with the set global norms. Further, the basic material used to manufacture these products is procured from certified and experienced vendors of the market. Our products are widely used in various sectors and have a massive requirement due to their high quality, smooth finish, attractive design and reliability. Gauging the various requirements of the customers, these products are manufactured and also offered in customized form. We are offering our products at very reasonable prices. We are backed by a sophisticated infrastructure that is absolutely geared up with advanced technology and latest machinery. Our large infrastructure has helped us to meet the massive demands of the customers within the stipulated time frame. In addition, we have a squad of professionals who are highly knowledgeable and experienced regarding this field and are also highly involved in providing the products to our customers as per the standards of the universal market.